It was all a publicity stunt—however, we'd rather not advertise it and wish someone was actually teaching her to be more respectful. 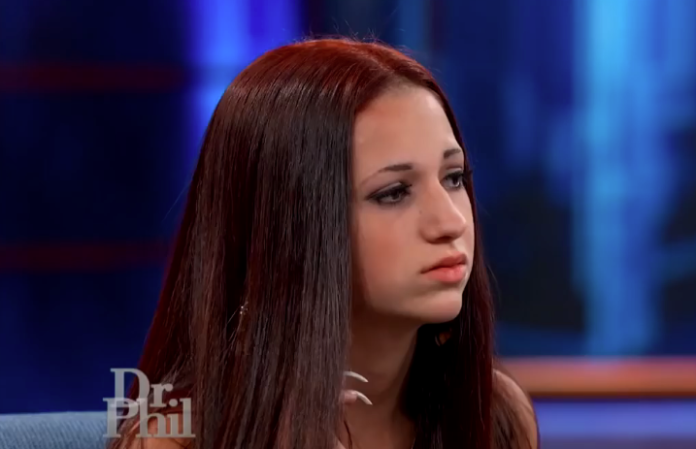 Hackers have taken aim at the infamous “cash me outside” girl from an episode of Dr. Phil, (via The Daily Beast). The internet quickly reacted, creating memes and remixes of the “cash me outside” girl. Taking the role as parent, hackers Face Security Group assumed control of Bregoli's Instagram account, posting some cryptic videos that shame the teenager's disrespectful treatment towards her mother. A clock counted down from 19 hours to zeros in the third video. The hackers also changed her name to “Democracy Dies In Darkness” in Russian and her profile picture to their logo. Bregoli was featured in the Dr. Phil segment I Want to Give Up My Car-Stealing, Knife-Wielding, Twerking 13-Year-Old Daughter Who Tried to Frame Me for a Crime.